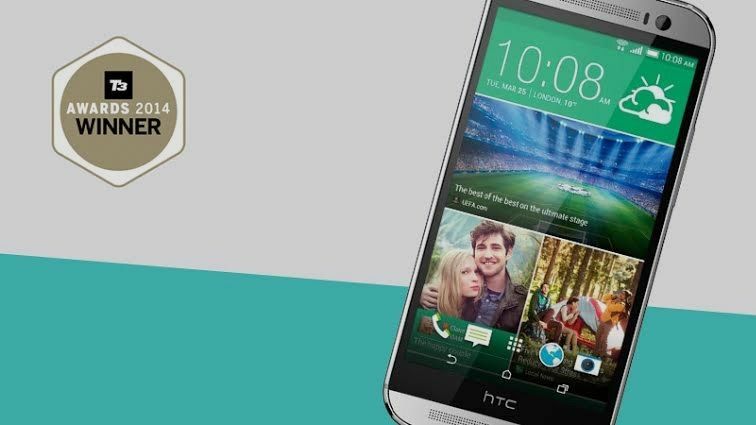 The HTC One M8 has been crowned Phone of the Year at the T3 Gadget Awards 2014. The powerhouse smartphone shoved off formidable competitors like Apple and Samsung to take home the gold. It's doubly exciting for HTC, as their original One handset also scooped the top phone prize at our T3 Gadget Awards last year. We've seen plenty of incredible handsets over the past year, all deserving of top dollar. There's only room for one winner though, and that glorious accolade goes to HTC's latest. Launching earlier this year, the HTC One M8 wowed customers with its high-spec innards and premium build quality. The top-notch flagship touted a brushed aluminium chassis and a stunning 5-inch full HD display. At its core lies a beefy quad-core Snapdragon 801 processor clocked at 2.3GHz, 2GB of RAM, 16GB of built-in storage, and a micro SD slot for the real media hoarders. There's also a 2,600mAh on-board - a solid upgrade for the original One's 2,300mAh juicer. It's no surprise then that this expertly crafted, full-throttle blower made it to the top of our list this year. While the HTC One M8 snagged the top spot, the runner-up handsets are still worthy of a mention. In second place came Samsung's much-loved Galaxy S5, with Apple's fingerprint-fondling iPhone 5S closely in tow. Both handsets deserve some solid praise, and the competition was the toughest we've ever seen this year.